CY Leung’s Great Idea: Hong Kong should LOVE China! To mark the 100 day anniversary of his rule, Hong Kong’s embattled Chief Executive CY Leung gave a speech yesterday to LegCo (LegCo is short for Legislative Council, the Hong Kong equivalent of Parliament or House of Representatives). Recently Leung was forced to abandon plans to restructure government. Instead he intends to focus on housing and poverty. In this city of multi-billion dollar skyscrapers a large part of the population live in squalor fighting for daily sustenance. One one hand Leung was right on target. There are 56,000 Hong Kong businesses with operations in Southern China. Some 11,000 Hong Kong students attend university on the Mainland. And hundreds of thousands cross the border daily for shopping, sightseeing, business and pleasure. China is Hong Kong’s big backyard. But in many more ways, Leung was way off base. He failed to appreciate that tens of thousands recently protested pro-China changes to national education. Residents on the border decry the daily fight for essentials as cross-border traders buy up foodstuffs for resale in China. The continued abuses of human rights an inhumane treatment of political activists have Hong Kong people concerned about their rights after Hong Kong fully reverts to China in 2047. That quote was a dramatic overstatement of recent facts. Hong Kong is the least closed city in the world. We have 7 million inhabitants and welcome 14 million visitors each year. Our airport is among the busiest in the world. Locals pay next to nothing for postage because international mail carriers reimburse Hong Kong for taking so much of their mail. Our local calls are free because telco companies make a fortune on long distance. Us residents take planes like other people take buses. They’re our only mode of travel when we want to go more than 30 miles. Turning our back on integration with China is NOT turning our back on the world. Instead it’s a clear signal that Hong Kong knows the freedoms enjoyed by citizens around the world. We live alongside them and see them every day. And we don’t want to live in a totalitarian regime suffering under One Party rule. CY Leung has a delicate balance he needs to achieve. He must understand the needs of the local populace and work to support greater integration with China. But it can’t be forced. And in yesterday’s speech CY Leung pushed too hard. Perhaps its the exuberance of new leadership. 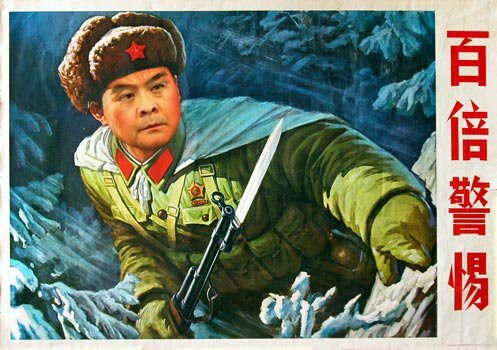 CY Leung is at risk of being seen as a Mainland Chinese politician looking after the needs of the Communist Party, and not an elected representative sworn to protect the best interests of Hong Kong.